Two theological students, Ernest Creux and Paul Berthold, offered their services as foreign missionaries “whether under the tropics or on the northern ice” to the Synod of the Free Church of Canton Vaud when it met in Lausanne in 1869. They were sent to Morija in what was then called Basutoland. In 1875 they moved with five ox-wagons to what is today the Limpopo Province, establishing their first missions at Valdezia and Elim. This was the beginning of the work of what became known as the Swiss Mission Church in the area. It later became the Tsonga Presbyterian Church and is now known as the Evangelical Presbyterian Church. Thomas Burgers, the president of the Zuid-Afrikaansche Republiek, was opposed to the presence of the Swiss missionaries and ordered their arrest and incarceration in Marabastad, but they were later allowed to pursue their work in the area. They bought a farm at Rossbach where they started a school with seven children, and named it Lemana, adapted from the name Lac Léman, a lake in Switzerland. 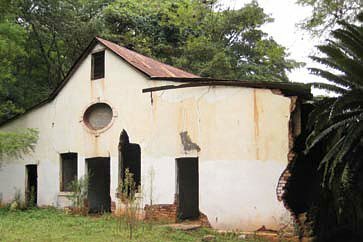 The remains of the original Rossbach classrooms, scheduled for restoration by the provincial government as memorial to the work of the missionaries, are presently overgrown by vegetation and in a state of near-collapse. The Mission was moved from Rossbach in 1922, where a new campus was opened outside Elim. The training college flourished and a high school was opened which rapidly grew in numbers. 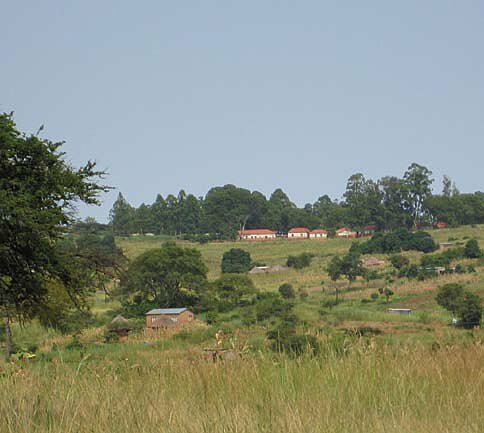 In 1969 the training college was moved to Tzaneen and incorporated into the Ganzankulu Education Department. A teachers’ training college was again opened at Lemana in 1990, with the college and high school sharing the same campus as they had done prior to 1969. As the demand for teachers grew and the college absorbed more students, the school was forced to vacate the historic campus and moved into a set of prefabricated classrooms a short distance away. Soon after that the college was again closed down and since then the school has been in discussions with the Limpopo Government about returning to the historic 1922 campus near Elim. A community meeting was facilitated in 2008 by the Historic Schools Project and all stakeholders voted in favour of moving back to the historic campus. Unfortunately, so far, government has failed to begin the process. The historic campus is still in reasonable condition but is beginning to deteriorate, due to lack of maintenance and regular use. Development plans for the school envisage the restoration of the buildings and a return of the school to the role it played previously in the community. This included inter-school sport, eisteddfods, vacation schools for teachers and skills training for the community. Today the school curriculum is essentially academic, in contrast to earlier years where industrial skills were taught parallel to teacher training, although future plans include an FET curriculum. This will focus on training in skills appropriate to contemporary society such as technology, engineering, computer literacy, consumer studies, hospitality studies, tourism and other skills that could provide employment and entrepreneurial opportunities. The reintroduction of hostels is seen as an important part of the restoration of the school, providing secure accommodation and study facilities for learners and attracting learners from further afield. The alumni of the school include leaders from neighbouring countries as well as residents of Limpopo and other parts of the country. They include Dr Eduardo Mondlane, Professor HWE Ntsan’wisi, Professor GM Nkondo and Judge GSS Maluleke. The school has clearly played an important role in the community and beyond its borders. It is on a craft route that includes potters, woodcarvers, fabric and textile workers, drum-makers and artists. The memories and the architectural beauty captured in the restoration of the school will serve as an inspiration not only to teachers and learners but also to the community as a whole.